The 2018 model year will be the last year for the fourth generation Toyota Avalon. 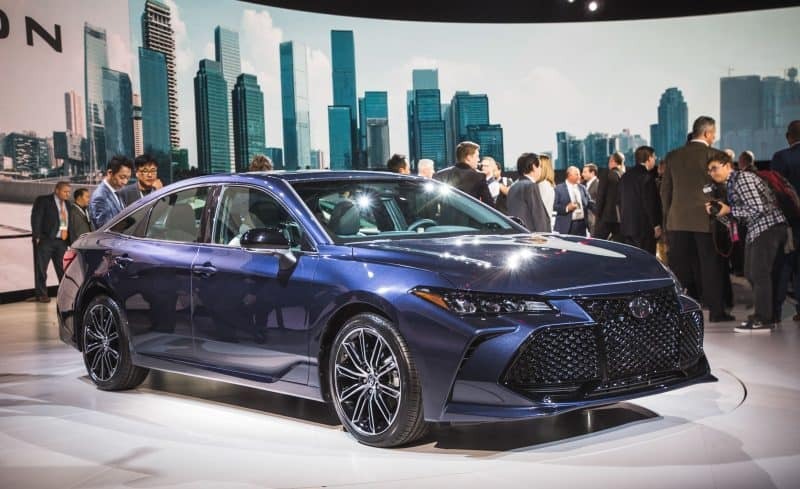 As of 2019, Toyota’s flagship sedan enters an exciting new fifth-gen spell that should last at least five or six years. The redesigned Avalon will follow its smaller sibling Camry by getting the same new TNGA architecture. Its overall dimensions won’t change much, but the Avalon’s wheelbase will get stretched by 2 inches regardless. The new platform and fresh design will be accompanied by an all-new Entune 3.0 infotainment system which finally offers Apple CarPlay integration. No such luck for Android Auto though, as the Avalon’s 9-inch touchscreen display won’t be compatible with it. As far as engines are concerned, the new Avalon will continue to offer both the 4-cylinder hybrid and V6 options. The 3.5L V6 will get a power hike from 268 hp to 301 hp, while the 2.5L hybrid 4-cylinder gets 8 additional ponies for a net output of 208 horsepower. A CVT gearbox remains mandatory with hybrids while V6 Avalons are receiving new 8-speed automatics instead of the outgoing 6-speed units. It remains to be seen how these changes will impact the next-gen Avalon’s fuel economy. Previous post The 5000-hp, 300-mph Jet-like Devel Sixteen is Finally Here!